Cabar-EH Youth Theatre SUMMER Theatre CAMP 2019! Cabar-EH Youth Theatre’s weekly Summer THEATRE CAMP runs weekly Monday-Friday from 8:30am – 3:30pm (before and after care available for an additional fee – MUST REGISTER FOR THIS PRIOR TO CAMP). Camp is for School aged 4yrs+. (For Junior LIT Program for ages 13-18yrs please see additional info at the bottom). We play games, do crafts, go to the park, have theme days like MOVIE DAY, and WACKY HAIR DAY, as well as learn about theatre threw games, dance, song, and performances. 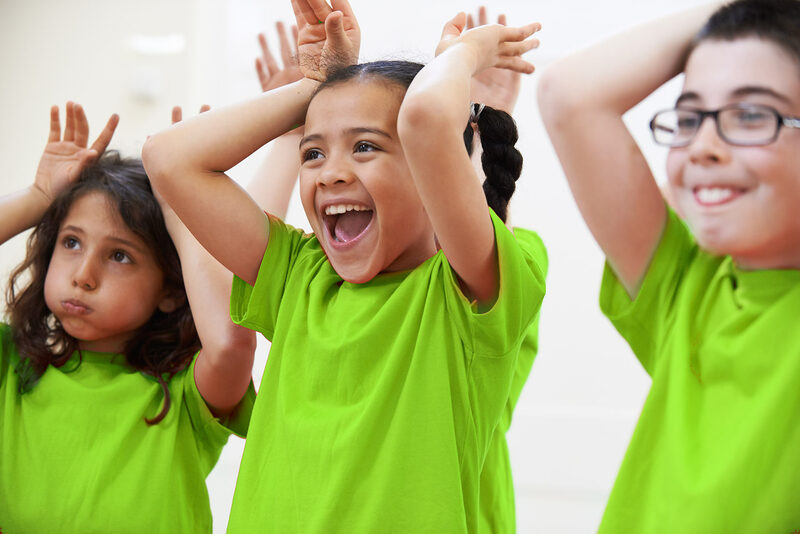 Every week your kids will do dance, vocal music and drama workshops as well as have special guest performers and more! All Campers will have the opportunity to perform in the end of Camp Showcase on the Friday before home time. Every week of Camp is a different Theme (listed below). All CAMPS are run at our Cabar-EH Studio 2 Pelham Town Square, Fonthill, Lower Level. Registration and prepayment is required to hold you spot – spots are limited. Please email Jenny contact@cabareh.ca for details and registration. Cost is $150 for the week (or if 2 or more siblings only $125 each) before care is an additional charges please inquire. Come perform all your fav Disney songs and dances, High School Musical, Little Mermaid, Tangled, Teen Beach Movie and more! We will Sing, Dance, Act and perform in an end of week showcase. July 15 – 19, 2019 – FAN KID WEEK! Superheros, Harry Potter, MINECRAFT, Fortnite, and so much more! Did you know some of them have Musicals written about them? Come join in the Comic Con FUN and perform in the end of week showcase with all your favourites! Come to a SEUSSICAL CIRCUS! Tie Dye Shirts, Magic, Face Painting, Balloon Animals, Dr. Seuss and More! Come to our week end Showcase and enjoy our Circus! Come be a STAR with us! Charlie Brown, Matilda, Annie, Newsies, Lion King and more! Sing, Dance, Act and have fun with us performing in our end of week Showcase! Make Puppets, Learn about different puppets, make a puppet Theatre, Make our own puppet shows! PLUS, Participate in an end of week Showcase. August 12 – 16, 2019 – ROCK’n Retro week! 80’s fun, Crazy hair, POP Music, Iconic Dances and more! Sing, Act Dance and Participate in an end of week Showcase. Come be a STAR with us! Shrek, Mary Poppins, Alice in Wonderland, the Addams Family, Wizard of OZ and more! Sing, Dance, Act and have fun with us performing in our end of week Showcase! Our Cabar-EH Junior LIT program is open to children aged 13 – 18yrs. Our Junior Leader in Training WORKSHOP and Certification program runs Weds. July 3-Friday July 5 2019 from 8:30am – 3:30pm at the Cabar-EH Studio 2 Pelham Town Square, Fonthill, Lower level. During these 3 day Junior Leaders will learn Theatre terms, Camp Games, how to deal with conflicts at camp and camp safety. You will learn about First Aid, as well you will attend a CPR Training and Certification class at Cabar-EH in conjunction with St. Johns Ambulance. The Cost for this Junior Leader in Training 3 day workshop is $50. After you have completed your 3 days of workshops and CPR Certification you will be required to be a Junior Leader at our CYT Summer Theatre Camp for a minimum of 2 weeks in order to receive your Junior Leader in Training Certificate. When you are at camp during our themed weeks all Junior Leaders will be required to be there from 8am – 4pm Monday – Friday during Summer Camp Weeks. Cost for each camp week is $50 per week – A Minimum of 2 Full weeks of Camp PLUS Cabar-EH CPR training in conjunction with St. Johns Ambulance is required for CYT JLIT Certification. Anyone who has a passion for Musical Theatre is welcome to take our JLIT Course. Junior Leaders in Training will assist with CYT Kids Camps Theatre Games, Improv Games and Crafts. They will learn about safety at camp and enforce safe play with campers. They will also receive CPR certification from St. Johns Ambulance and Certification of Junior Leader Program when it is complete. Junior Leaders will help create and build material for the End of Camp Showcase (songs and dances). They will help set up and take down before and after camp. Review Communication logs and health/medical cautions of campers. ALL Campers will bring their own PEANUT FREE Lunch and 2 snacks each day. ALL Campers are to bring a water bottle to drink and refill throughout the day OR can purchase a bottle for $1 at the CYT front desk. ** IF RAINING** ALL Campers MUST BRING INDOOR SHOES – NO SOCKS ONLY OR BARE FEET WILL BE PERMITTED due to safety.